The first one is to simply connect with one of your social network accounts. It’s the easiest way by far since you don’t need to remember yet another password. 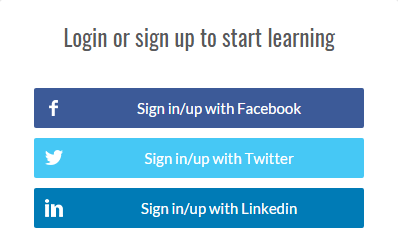 To log in, simply click on the button corresponding to the social network you prefer to use and follow the process. You will be asked to confirm your email address, so make sure that you enter a valid email address. The second option for creating a new account is using your email. 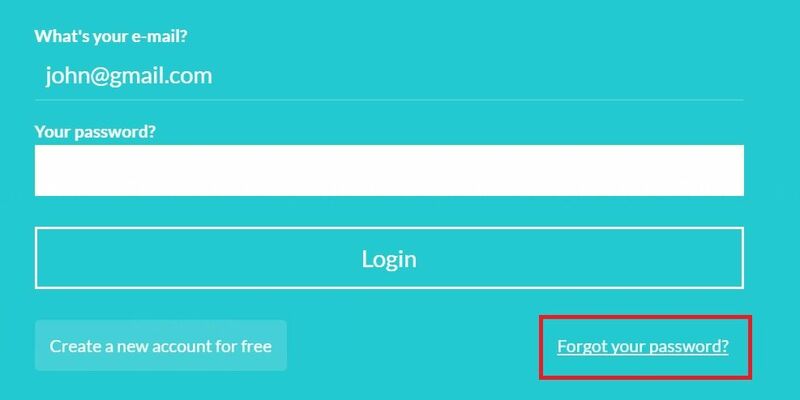 Click on the "Create a new account for free" button that can be found in the login form. 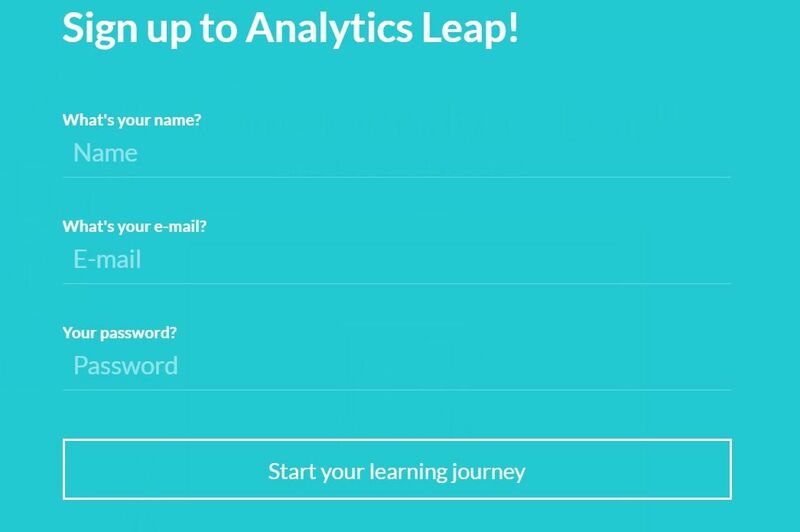 Fill out the simple registration form with your name, email and desired password and click on the "Start your learning journey" button. That’s it, you may now access the online school and browse through the available courses. How to Log In to my School with an existing Account? If you’ve used your email to register for the school then simply fill out your e-mail and password in the login form and click "Login". That’s it, you can browse through our course catalog! Problems Logging in to your School? First of all make sure that the combination of e-mail and password you tried is correct (for security reasons our error message doesn’t explicitly reference whether you made a mistake in your email or password. This is deliberately so to make it harder for malicious individuals to guess any account details). If you are still having problems it might that have forgotten your password. In this case you can simply ask for a new one to be sent out to you. Click on the "Forgot your password?" link located just below the "Login" button. Type the email that corresponds to your account and click "Send". 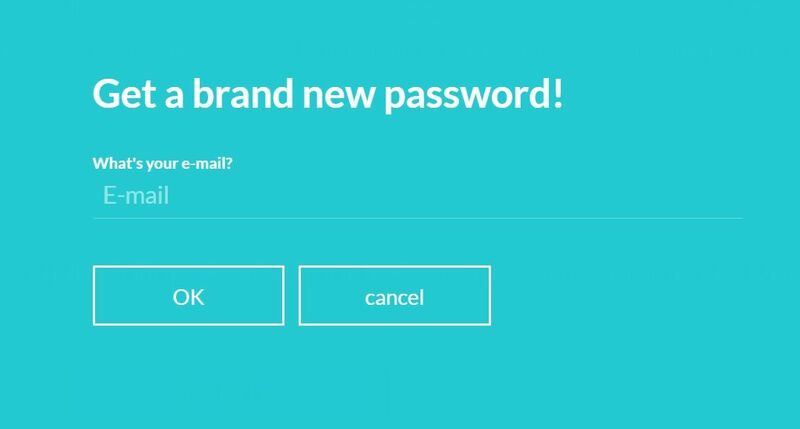 An email will be sent to you with a link for setting a new password for your account. If you don’t see the email appearing in your Inbox, make sure to also check the spam folder as it may have been accidentally caught by your email's spam filter. If this is the case then make sure to identify this message as "Not spam" so that you don’t lose any future correspondence from your online school. There are two kinds of courses the free ones and the ones you have to buy. 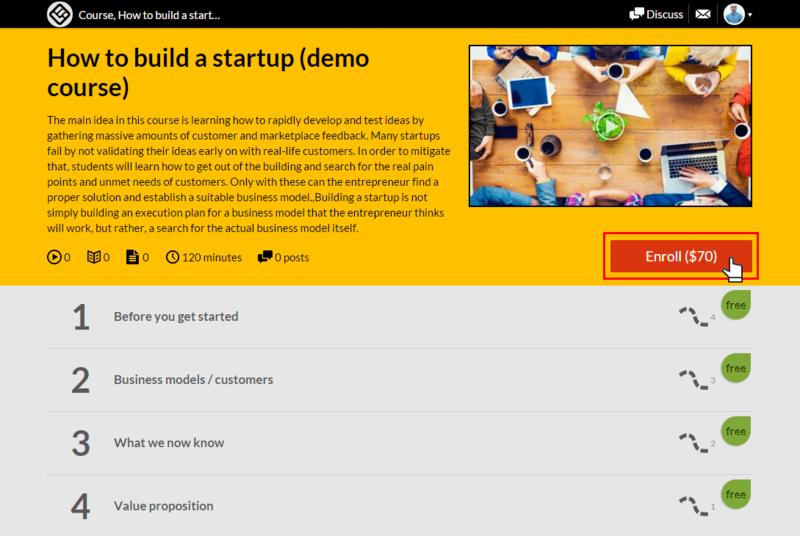 If the course you want to enroll is free just click on "Start for free" button and you will have full access to the content. If the course you want to enroll is not free click on "Enroll" button (the course’s prices should be visible, right next to enroll) and follow the checkout process. When you finish the course contents will unlock for you. I purchased a course. How do I access it? To access a course that you have already purchased, login into your account. In the top section under 'Enrolled Courses', you will find your purchased course. How do I download course content? If you are enrolled to a course (paid or not) you will have access to the whole course contents. In most cases the contents are not available for download and you will need to be connected to the internet and access the contents through your browser. Certain material, like PDF files or PPT presentations may be available for download. Do I have to be online at a specific time to take a course? No, you can take your course whenever you want. The course remains online around the clock. All you need is internet access and a fairly modern browser. Yes. You can take as many courses as you wish. We support the latest versions of all well-known browsers. For optimal studying experience we recommend using Mozilla Firefox or Google Chrome. Can I take the courses on my iPad or tablet? Of course you can. This online school is fully responsive in all kinds of electronic devices. Can I take the courses on my iPhone or smartphone? Of course you can. This online school is fully responsive in all kinds of mobile devices. For optimal experience you can use the mobile version of Google Chrome, if your device supports it. Internet access is required since all of the course contents are online. We also recommend using a broadband internet connection, especially when you have to go through video content. Just a broadband Internet connection and the latest version of your faviorite browser. All major credit cards are accepted. We do not save any card information on our servers and all payments are processed securely. Our video player automatically tries to adjust the video quality to your internet speed, giving you the highest quality possible but in certain cases, for very slow connections, this might not be possible. If you’re experiencing excessive buffering during playback, it’s probably because your Internet connection cannot support continuous playback of the video. In this case try to reset your connection/internet router or, if possible, try accessing your online courses using a better internet connection. -Close extra browser tabs or other applications that may be using up your bandwidth. -Make sure you’re using the latest version of your browser. It depends on the course. Each course has different time requirements. Read the course’s description or contact your instructor for more specific details. What will you do with my e-mail address? Your e-mail address is your key to your school. It is fully safe with us and we will use it only to communicate with you if necessary. Does access to my paid courses expire? In most cases, once you have enrolled to a course you will have access for lifetime. Courses with limited time access say so clearly in the course description. Can I sample a course or lesson before deciding to purchase a course? In many cases courses have one or more free sections that you can sample before you decide to purchase a course. Once your payment has been successfully processed, your course will be immediately accessible to you. If the course hasn’t unlocked despite you payment going through, then please contact the site’s owner at contactus@a-leap.com and you will be given access to the course asap. How soon will I get access to my courses? 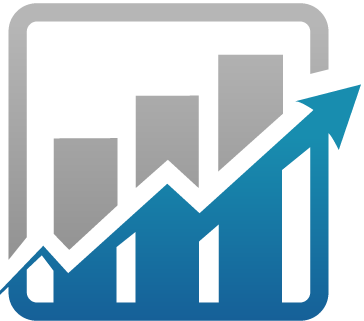 You will get access to your course(s) immediately after your make an online purchase (or when you have been manually enrolled by the instructor). Are there prerequisites for the courses or lessons? In most cases there are no prerequisites and you can take any course you want independently. For certain courses that do have prerequisites, this will be clearly written in the course description. And you may also want to discuss this with the course instructor. How do I access a course that I have completed? You can access your courses anytime simply by logging in to the platform and visiting the course page. The courses you have purchased appear always first in the school’s course catalog. I was given a discount coupon to this school. How can I use it to buy a course with discount? 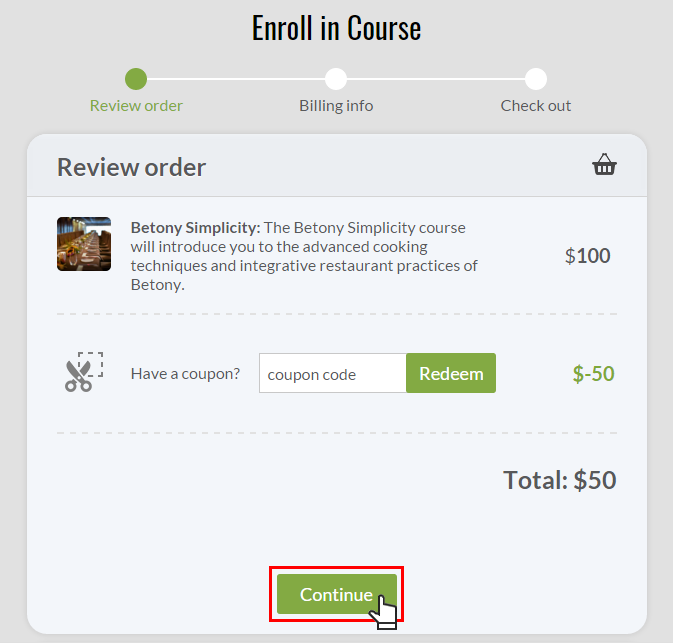 Buying a course with a discount coupon is not much different from our normal checkout process. 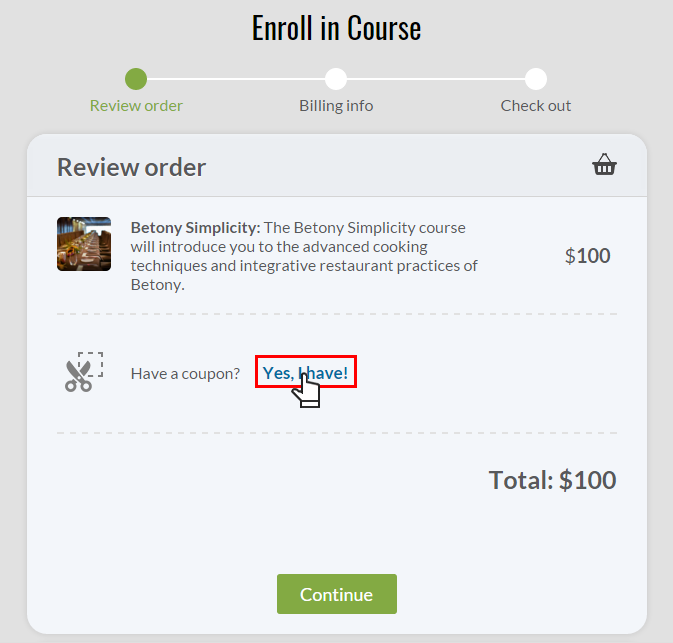 1) Go to the course page for which you have a coupon and click "Enroll". 2) You will be automatically redirect to "Enroll in Course" page. Click on thes "Yes,I have!" option. 3) Type your coupon code in the textbox (in our example: COUPON1) and click "Redeem"
4) the discount will be automatically calculated in the final price.